Thorne Research’s Vitamin K2 only uses the highest quality MK4 form of K2. 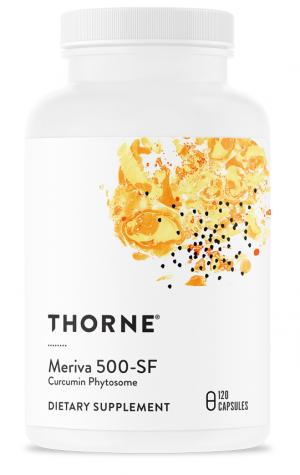 Many health experts consider this form to have superior bioavailability in the human body. Calcium regulatory effects may support bone health and circulation. 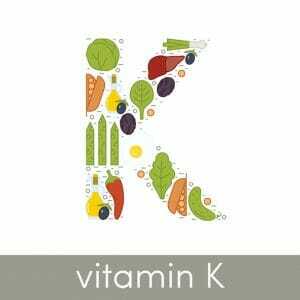 Compared to other vitamins, awareness of vitamin K and its nutritional benefits can be relatively rare. It may not be as common as nutrients like Vitamin A and D, but it can be every bit as useful within the human body for support of health bones and circulation. 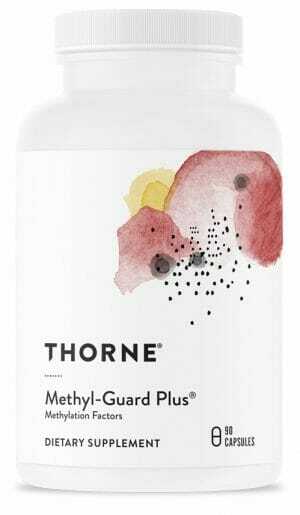 Thorne Research Vitamin K2 only uses the highest quality MK4 form of K2. Many health experts consider this form to have superior bioavailability in the human body. Highly potent liquid dropper formulation. Each drop contains approximately 1 mg of Vitamin K2 (15 drops for 1 serving). MK4 form is thought to be the most effective for consumption in humans. Calcium regulatory effects may support bone health and circulation. May also provide various benefits for the health of pregnant and post-menopausal women. Among all of the vitamins in the nutritional world, vitamin K often seems a bit out of place. This is not only a result of its alphabetical displacement; vitamin K is also something of a rarity, not just in multivitamins and other supplements, but also in food sources. This is a shame because vitamin K plays a number of important roles in the human body which support the health of a number of bodily systems and functions. Though vitamin K deficiencies are rare in adults, they have potential to cause serious imbalance throughout the body. 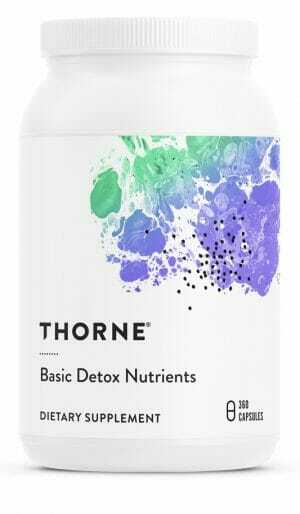 In actuality, “Vitamin K” is a generic term which is used to refer to a group of common chemical compounds with a structure similar to 2-methyl-1,4-naphthoquinone. The most principal compounds which fall into this group are known as phylloquinone (vitamin K1) and menaquinones (vitamin K2). K2 is generally considered to be the most useful form for supplementation, but it gets even more complicated. 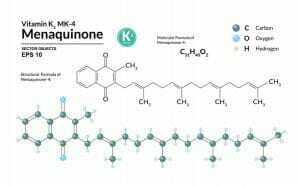 Menaquinones are given the designation of MK4, MK7, or MK13 depending upon the length of their unsaturated isoprenyl side chains. Because MK4 can be organically produced in the human body, it is thought of as being much more bioavailable than other forms of vitamin K2. 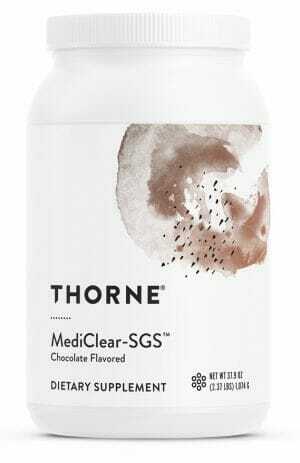 As such, Thorne Research has crafted with supplement with only the highest quality of K2 in its MK4 form. The potential nutritional benefits of vitamin K are numerous. However, the most relevant of these benefits are geared towards healthy bones, circulation, and various aspects of women’s health. All of these benefits are primarily a result of calcium-regulatory proteins, like matrix gla-protein, which are vitamin K dependant. This means that vitamin K may help with calcium absorption as well as the prevention of vascular calcification.1 It is also thought that the bone support properties of vitamin K may be particularly useful for pregnant and postmenopausal women. Interactions: As Vitamin K interferes with the effect of anticoagulant drugs (like Coumadin), the concurrent use of these agents should be avoided. Other Ingredients: Medium Chain Triglyceride Oil, Mixed Tocopherols. Take 15 drops one to three times daily or as recommended by your health professional. Invert bottle to dispense individual drops. May be added to food or mixed in beverages.